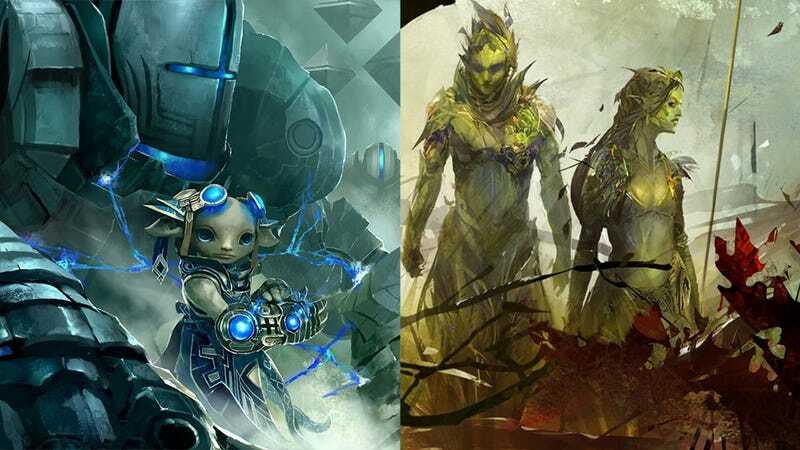 There are five races in Guild Wars 2, but up until now we've only been able to play as three - the humans, the cat people, and the bigger humans. ArenaNet rectifies this the weekend of July 20-22, when the Asura and Sylvari finally get their chance to shine. It ain't easy being green, and it's even harder being an annoying little know-it-all, which probably explains why we've had to wait until the third and final beta weekend for Guild Wars 2 to get our hands on levels 1-20 for the game's most exotic races. Along with the snacks and veggies, the event will also feature the two races' cities of Rata Sum and Grove, as well as a new Guild-Conquest PvP map, finally giving those titular organizations some time to shine. Not in the Guild Wars 2 beta yet? I'll see what I can do.